As consumers look to stretch their food dollars, it’s easy to see how ready-to-eat frozen foods with quality ingredients combined with value are now in high demand. As a result, California-based Ruiz Foods, the nation’s largest frozen Mexican food manufacturer, doubled its sales force to keep up with demand. With three manufacturing plants, two distribution centers and more than 2,500 employees, Ruiz recognized the need to invest in a technology that would automate business processes, capture more value from promotions and improve operational efficiency overall. In 2001, Paul Eveland, director of trade marketing at Ruiz Foods, had a simple objective in mind: give up unreliable, non-integrated spreadsheets and put in place controls that would provide an enterprise-wide view of accurate trade promotion spend. After abandoning an earlier trade promotion management (TPM) product that wasn’t well received by the field sales group, the company began to search for another solution. This time, Eveland and his team sought an application that would be a better fit with all corporate-wide users and external brokers. With complete buy-in from field sales, Ruiz selected AFS Trade Promotion Management Retail (TPM Retail). Access the right data at the right time and map it to IRI information so it can intelligently interact with regional managers on a product by product and region by region basis. Experience a higher level of efficiencies across the board, especially overall volume, which is a direct result better understanding what promotions work effectively and what promotions don’t, then shifting those dollars accordingly. Allow those on the audit team to make their audits so much more efficient, because they know that everything is accounted for. Provide an accurate account of where spend is going and for what product. Improve its understanding of which price points drive the most profitable volume and what’s the best timing for a promotion based on consumer demand, resulting in increased forecasting accuracy based on timing and price point. 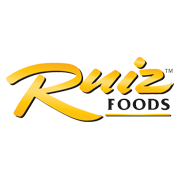 Ruiz Foods is a privately owned corporation. Third-generation Bryce Ruiz, the elder son, is president and CEO. Kim Ruiz Beck, the elder daughter of Co-Founder and Chairman Emeritus, Fred Ruiz, is chairman. Ruiz Foods is dedicated to premium quality, authentically prepared frozen foods selling to all channels of distribution: retail, convenience store, clubs, vending, industrial and foodservice. The Tornados® brand, introduced just eight years ago, has revolutionized the use of the roller grill in convenience stores and, more recently, is also available in retail grocery stores nationwide. The El Monterey® brand is the market leader within the frozen Mexican food category and the No. 1 brand of frozen Mexican food in the U.S.